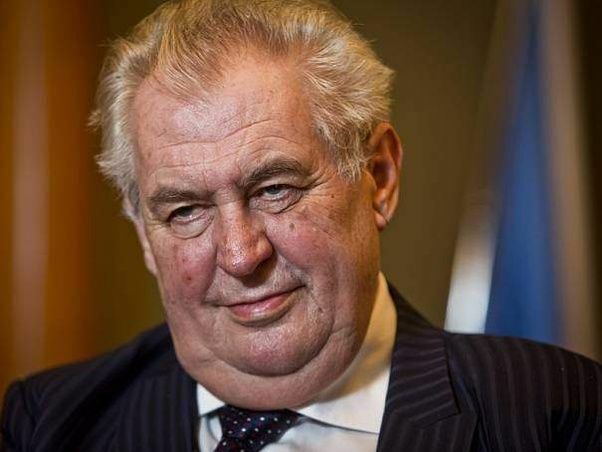 Prague – President Milos Zeman, after several months, has ended the speculation he appoints to the head of the Supreme Administrative Court instead of the ending President Josef Baxa. He will be leaving his fifteen-year mandate on September 30 and can no longer continue. At Castle, he invited the vice-president of the court, and thus Bax’s representative, Michal Mazan, to tell him that the court would rule over the next three years. “The President told me that I would be appointed President of the Supreme Administrative Court on September 18,” confirmed Mazanec after the meeting. He will take up his duties on October 1. He also talked to the president about the name of the new Vice-President. “I mentioned some names, but the President has not made any decisions at the moment, so it is unnecessary to speculate on them,” said Mazanec. Michal Mazanec is a long-time specialist in administrative law. He began in 1976 as a prosecutor in the non-criminal section of general civilian-judicial supervision, where he was in charge of, for example, traffic accidents and other negligent crimes. After the Revolution, he was a District Prosecutor for Prague 5 for several months, but then took advantage of the offer to become Director of the Legislative and Legal Department of the Ministry of Culture. In 1992 he was appointed Judge of the Supreme Court in the administrative judiciary and in 1993 he became the judge of the Supreme Court in Prague. In 2003 he became Vice-Chairman of the newly established Supreme Administrative Court. Mazanec may be in office for only three years from the ten-year mandate of the President of the Supreme Administrative Court because he will soon be 70 years old. This is the age limit for the performance of a judge’s function. Some representatives of the judiciary, such as the President of the Union of the Union – and Mazanc’s colleague – Daniela Zemanová, consider it shortly to be able to make any conceptual changes. “Conceptual changes must be made by the government, and we have three years to go. We have to do what is possible in the next three years,” said Mazanec, who has some idea. According to him, it is particularly important to deal with the fact that over the last five years, the number of cases that the court has to deal with has increased by more than half. The idea is really fast growing, compared to 2012 we are at 160 percent. But more action is needed because we have gained enough experience in 15 years, “he said, but he would first discuss his proposals with the Minister of Justice and the College of the Supreme Administrative Court. In his words, he does not want to change the direction set by Josef Bax. “The concept is given by law, and as Dr. Baxa did, I will do it,” added Mazanec.